Imagine you’re mourning the loss of the last of your three brothers, juggling career and family expectations, all the while considering a run for President of the United States. And then, one night, you run your car off a bridge with someone else stuck inside. Such was the scenario presented by John Curran’s Chappaquiddick at Opening Night of the 2017 Film Independent Forum. 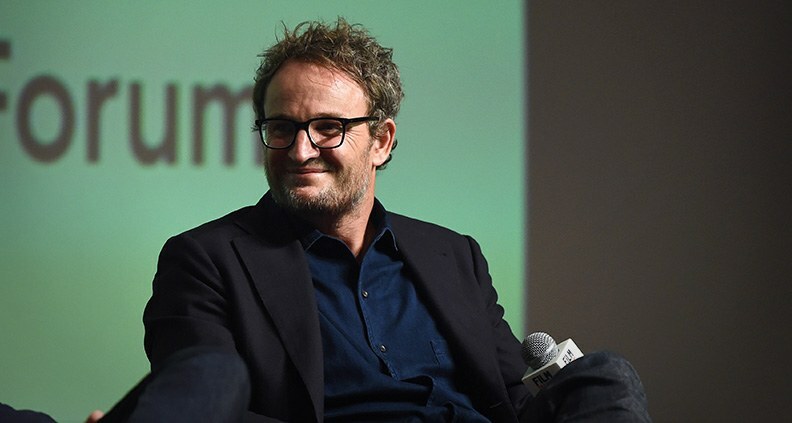 In 107 minutes, the film deftly covers a week’s worth of emotional turmoil, crises of faith, philosophizing and legal wrangling in the life of Ted Kennedy—played in the film by Australian actor Jason Clarke. Even 48 years later, the story of the “Chappaquiddick Incident” is not an easy one to tell. Curran’s pensive, deliberate narrative sets up a portrait of young senator struggling with the weight of expectations on all sides, as various friends and advisors urge conflicting courses of action following the accidental drowning death of former Robert Kennedy campaign secretary Mary Jo Kopechne (Kate Mara). Viewers are left wondering what they would do in the same situation. Curran and Clarke met early in Clarke’s acting career, and when Clarke’s manager sent Curran the Chappaquiddick script, he was eager to take on the project. In the process of developing the script (written by Taylor Allen and Andrew Logan) Curran had questions, assuming some story points had been made up. But he found that even the most bizarre plot elements came directly from the 1969 inquest documentation. Ed Helms and Jim Gaffigan play Kennedy’s cousin Joe Gargan and friend Paul Markham, respectively. Both known for comedy, Curran cast the actors against type in highly dramatic roles, stating that the film is a tragedy that turns into a farce. “Comedians are tortured, complex and sad,” Curran reasoned with a wry smile. Good friends in real life, Helms and Gaffigan got along well on-screen with a chemistry that reflected their off-screen friendship. Clarke likened the rigorous task of becoming Kennedy to going to the gym and doing drills, dedicating dozens of hours to learning how to look and sound like Ted. Finding the Kennedy tone and avoiding caricature was important—as was mastering the smile. “Ted has a very particular smile,” Curran pointed out. Which meant a variety of fake teeth for Clarke, and it took a lot of time to find the right width and depth that would transform Clarke’s smile without butchering his tongue in the course of a 15-hour day. One budget choice Curran made was to shoot the film in Martha’s Vineyard instead of Toronto. “There are good incentives in Toronto, but Toronto doesn’t look anything like Martha’s Vineyard. I didn’t want a bunch of extras in Toronto doing fake Boston accents.” Cramming 40 days of shooting into 32 was the only way to appease budget constraints. But it put pressure on everyone to get the scenes. 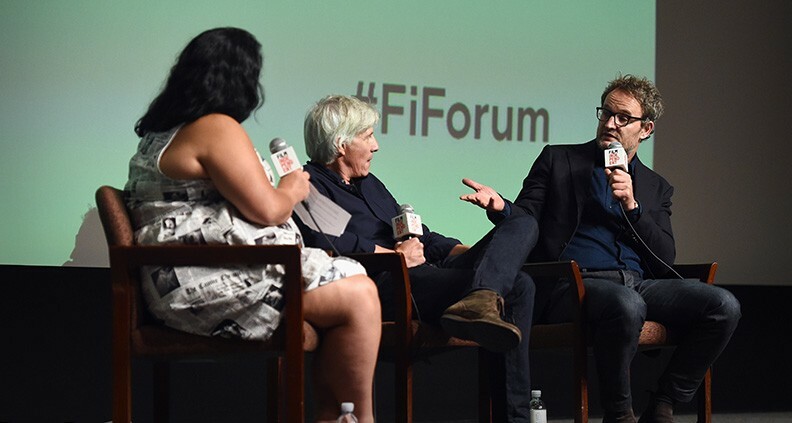 The 2017 Film Independent Forum took place from October 20-22 at the Directors Guild of America in Los Angeles. To see more from this year’s panels and events, follow us on Twitter and Facebook. Not a Member of Film Independent yet? Become one today. 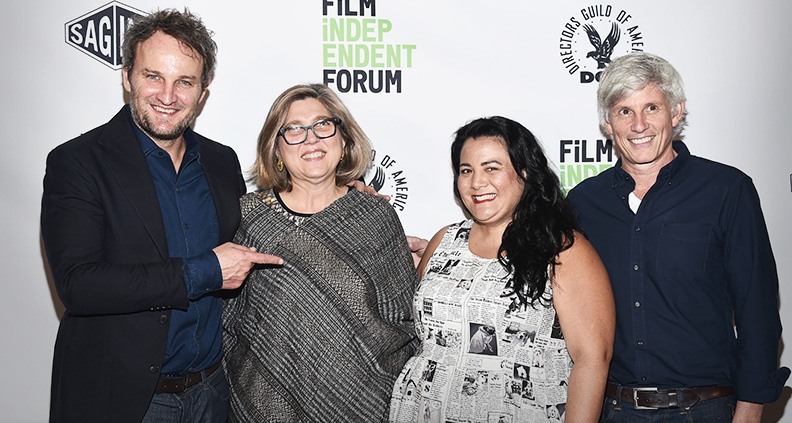 The 2017 Film Independent Forum is supported by Premier Sponsors Directors Guild of America and SAGIndie with additional support from Principal Sponsor Universal Pictures and Supporting Sponsors D’Alessio Law Group and the Netherlands Film Fund.